We’ve looked previously 1 at recent research revealing that any amount of alcohol intake is associated with certain types of cancer. 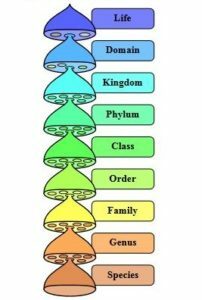 We’ve also looked in some detail at how important bacteria (the microbiota 2 ) in our intestines 3 4 5 6 7 8 , bladder 9 and mouth 10 are for our physical and mental health. But what about the effect of alcohol (beer, wine and spirits) on the health of our microbiota? 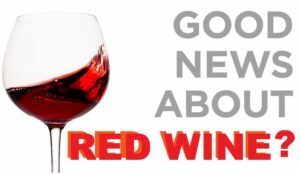 You can find any amount of industry-funded research extolling the benefits of having a glass of red wine (that it contains polyphenols like resveratrol 11 , for instance). You will hear ‘conventional wisdom’ that it’s good to have “all things in moderation“. But the microbes 12 within our bodies don’t listen to such pleasant reassurances. Increasing amounts of research is providing us with a clearer understanding of how our favourite tipple affects the precious microbiota, which in turn has significant effects on our short- and long-term health. However you want to define an alcoholic, it’s not going to be a shock to anyone that their microbiota are going to suffer if they consume vast quantities of alcohol, either on a regular basis of moderate to high intake or in less regular ‘binges‘ of high intake. And this is what’s shown in the following research. A May 2012 study 13 compared the microbiota composition of groups of a non-alcoholic control group and an alcoholic test group (including individuals with and without alcoholic liver disease). In this particular chart, the bacteria family called Bacteroidaceae, generally thought of as being beneficial to health, can be seen as reduced in the ALC and further reduced in the ALD group. There were additional differences found in the ratio of other dysbiotic and nondysbiotic bacterial communities between members of the two alcoholic groups (ALC and ALD) – including decreases in Clostridia and increases in Bacilli and Gammaprotoebacteria in those alcoholics described as having dysbiotic microbiota. 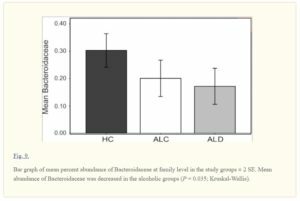 Thus, not all alcoholics studied had such unhealthy microbiota that they could be defined as dysbiotic; however, all alcoholics (ALC and ALD) had less ‘good’ and more ‘bad’ bacteria in their guts than the non-alcoholic control group (HC). The health effects of this type of imbalance have been shown in previous blogs (referenced above) to be linked to a wide range of diseases. A 2015 review 15 looked at the effect of alcohol consumption on the microbiota in the gastrointestinal tract (GIT). 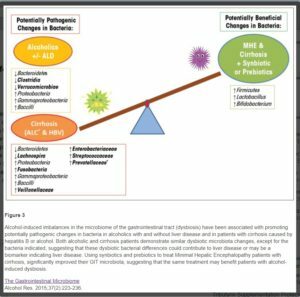 The reviewers recommend that gut-directed interventions, such as probiotic 18 and synbiotic 19 modulation of the intestinal microbiota, are solutions that should be considered and evaluated for the prevention and treatment of alcohol-associated pathologies. There’s no precise definition of ‘chronic’ in this study; thus, I’m left uncertain about whether it ranges from those who enjoy a couple of glasses of wine every evening to those who either regularly or occasionally consume vast quantities of alcohol. How much and how often we need to drink alcohol in order to start causing a leaky gut is something that this study does not specifically cover. Thus, so far, those of us who consider that we are not alcoholics, but simply enjoy a regular or occasional drink, don’t really need to worry about all this stuff. But we still have more research to look at before we can reassure ourselves so easily… After all, the working assumption of WFPB nutrition is that it’s wise to be suspicious of anything that’s not a whole food – and alcoholic drinks are certainly not whole foods. Since this latter study looked at ways in which probiotics can be manufactured and sold (for profit, of course), it’s worth pointing out that good healthy plant food already contains all the prebiotics and probiotics that most people require. All whole plant food comes with millions of beneficial bacteria which are usually all the probiotics we need; and all unprocessed plants come pre-packed with all the fibre we normally need – and prebiotics are simply types of fibre found only in plant foods, and never in animal foods. Indeed, we saw previously 21 that there are concerns about the safety and efficacy of commercially-prepared probiotics 22 . A 2003 study 23 looked at how alcohol consumption leads to disturbances in the intestinal absorption of nutrients, including several vitamins. The inhibition of the absorption of sodium and water caused by alcohol consumption contributes to the tendency in heavy drinkers to develop diarrhoea. These findings on the effects of single episodes of binge drinking (which is defined as having 4 or more alcoholic drinks within a short period of time) have been supported by additional studies 24 . It’s not just chronic alcoholics who can experience leaky gut; it appears that the weakening of the delicate intestinal membrane, and thus the passage of toxins into the bloodstream, can happen after just one heavy drinking session. There’s no indication in this study about the effects of moderate but regular consumption of alcohol, nor of which type of drink (wine, beers, spirits) have the most damaging effects. 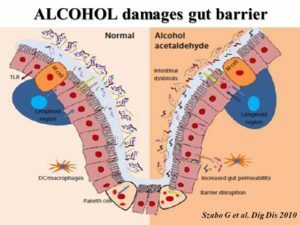 It appears that a major part of the reason why alcohol consumption can lead to a leaky gut is because of the alterations alcohol makes to the gut microbiota (or gut flora, as it’s also called). This can lead to ‘bacterial translocation’ 25 which, in turn, can cause inflammatory changes in the liver and elsewhere within the body. 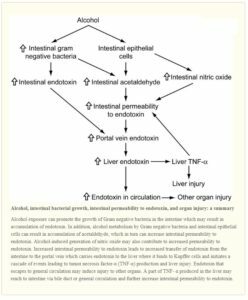 They point out that alcohol exposure has the ability to promote growth of Gram negative bacteria in the intestine. This is important because it may lead to the accumulation of endotoxins 27 . In addition, alcohol metabolism by Gram negative bacteria and intestinal epithelial cells 28 can result in accumulation of acetaldehyde 29 , which in turn can increase intestinal permeability to endotoxins. They also point out that alcohol-induced generation of nitric oxide may also contribute to increased permeability to endotoxin. The endotoxin, having permeated the gut membrane, passes to the portal vein which, in turn, carries endotoxin to the liver where it binds to Kupffer cells and initiates a cascade of events leading to teh production of TNF-α (Tumour Necrosis Factor-α is a cell signalling protein (cytokine) involved in systemic inflammation) and subsequent liver injury. And the damage does not end there. Endotoxin that escapes to the general blood circulation may then induce injury to other organs. For instance, a part of TNF- α produced in the liver may reach to intestine via bile duct or general circulation and further increase intestinal permeability to endotoxin. The health of the liver is closely related to the health of our gut bacteria. The above explains some of the mechanisms involved in liver and other organ damage due to the gut leakage as a result of alcohol consumption. Again, there is no clear definition of the quantity or frequency of alcohol consumption that’s needed in order to trigger these mechanisms. They did experiments on mice and found that if alcohol is given to the mice, some important genes (Reg3b and Reg3g) are downregulated 32 . The result of this is that they then produce significantly less of the antimicrobial molecules that can protect the gut against gram-negative and gram-positive organisms. 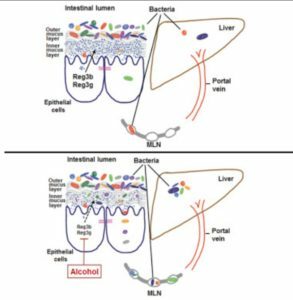 The mice given alcohol developed more (bad) bacteria in their guts and more severe liver disease compared with normal wild-type mice whose Reg3b and Reg3g genes had not been affected by alcohol. 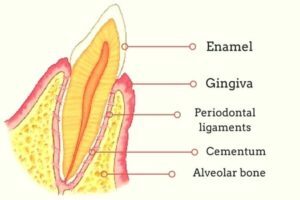 When bacteria gets into the mucosa, they can then leak through the epithelium wall into the bloodstream (leaky gut): “The balance between microbes and immune defenses was upended and more bacteria were able to migrate through the gut wall into the body, eventually traveling through the bloodstream to the liver. T cells attacked the invaders and the resulting inflammation scarred the liver.” They are going to further investigate which type of microbes are most dangerous if they migrate into the bloodstream; at the moment, this study is basically looking at quantity rather than type of microbes in the mucosa. The researchers were looking for some genetic or pharmaceutical means of treating genetic/microbial changes caused by heavy alcohol consumption, and their findings suggest that simply using a treatment that flushes the gut, without being targeted into the mucosa, will have little effect. As you can see from their conclusion, they don’t expect any magic pill to be invented before years, possibly decades, have passed. So their suggestion about erring on the side of caution by reducing alcohol consumption seems sensible. 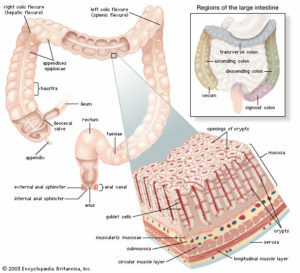 What they don’t look at is whether diet can reverse or in any way affect the situation where a heavy drinker has inadvertently caused a microbial build up in the mucosa within their gut. My suspicion is that the body is capable of repairing itself if it is given the appropriate nutrients (without continuing with the onslaught of the damaging alcohol, of course) over an extended period of time – weeks to months of a non-SOS WFPB diet. Plenty of studies 33 have looked at long-term alcohol use, whilst a March 2017 study 34 focused on the changes that would happen if mice were given a controlled amount of alcohol for a period of 10 days. The number of Akkermansia bacteria were found to be dramatically reduced by alcohol consumption. Other studies 35 corroborate this finding. This genus of bacteria in gut barrier maintenance is disrupted by alcohol. A parallel decrease in population numbers of Akkermansia has also been found to be decreased in mouse models of obesity and type-2 diabetes, while supplementation with this bacteria has been shown to alleviate the burden of metabolic dysfunction 36 . The latter study seems to suggest that even relatively short-term heavy alcohol use can start the process of liver damage. The liver appears to be able to repair itself to some extent if alcohol consumption stops, but the latter process causes scarring of liver tissue that cannot be reversed. Over time, this reduces the amount of the liver that can function. It’s not just the liver that becomes damaged when alcohol consumption causes gut dysbiosis. A June 2017 study 39 revealed how the natural defences of the heart and lungs against the bacteria that causes pneumonia (Klebsiella pneumoniae) are greatly weakened by excessive alcohol consumption. Once again, as with so many bodily reactions, this condition originates in changes to the gut microbiota. The tests undertaken on mice showed that binge-drinking over a 48-hour period was sufficient to create a lung burden caused by an increased infection of the K. pneumoniae bacteria. 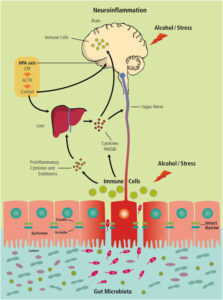 Alcohol-dysbiosis significantly increases intestinal barrier damage and inflammation. (A) Circulating levels of intestinal fatty acid binding protein (i-FABP) in alcohol-dysbiosis and pair-fed recolonized mice. (B) Absolute number of effector (CD44+, CD62L-) CD8+ T-cells in the intestine of alcohol-dysbiosis and pair-fed recolonized mice. Bars are the mean ± SEM, *indicates P<0.05, by Mann-Whitney U. N = 10/group. The latter study once again emphasises the damage caused when the gut microbiota is altered through even short-term chronic alcohol consumption. 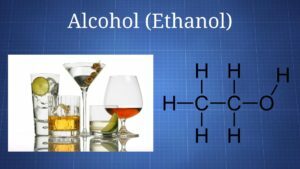 It’s easy to imagine that one drink is ‘safer’ than another – for instance, those who drink wine consider that it may be less harmful than beer, and those who drink beer might think it’s a healthier option than drinking spirits; however, the alcohol they each contain is the same thing – ethanol. All chronic alcohol ingestion leads to bacterial overgrowth and dysbiosis in the small and large intestine of animals and humans 41 42 43 44 45 . Studies in mice have shown that ethanol reduces the bacteria phylum Firmicutes 46 and the genus Lactobacillus 44 , while the species Enterococcus 47 , Akkermansia, Corynebacterium, and Alcaligenes increase after alcohol administration 44 45 46 . Chronic ethanol consumption also markedly reduces amino acid metabolism, and perturbs the metabolism of steroid, lipid, carnitine 48 , and bile acid 49 . Additionally, after consuming ethanol, intestinal levels of short-chain fatty acids (SCFAs), as well as saturated long-chain fatty acids (LCFAs) are lower 50 51 . It’s not just the gut microbiota that gets damaged by alcohol, as was demonstrated in an April 2018 study 52 , the bacteria in our mouths also struggle to cope with ethanol intake. A large number of human subjects were included in this study, and the researchers looked at the effects of all types of alcoholic drink (wine, beer and spirits) and also at different levels of consumption, from non-drinkers, through to infrequent and heavy drinkers. They found that: “…alcohol consumption, and heavy drinking in particular, may influence the oral microbiome composition.” In particular, they found that alcohol consumption is associated with decreased abundance of Lactobacillales (‘good’ bacteria), and increased levels of the potentially pathogenic bacteria, Proteobacteria and Actinobacteria (‘bad’ bacteria). They considered that depletion of Lactobacillales, thought to be important for good oral health, may promote growth of other alkaline-tolerant bacteria 53 . Ethanol may indirectly increase certain bacterial taxa by decreasing Lactobacillales thereby increasing pH, as mentioned above, or by inhibiting the antimicrobial properties of saliva and by disturbing the host-microbial balance. Additionally, alcohol could impair neutrophil function (contributing to bacterial overgrowth and increased bacterial penetration), reduce monocyte production of inflammatory cytokines (allowing for microbial proliferation), and have adverse effects on teeth (stimulating bone resorption and suppressing bone formation) [and the periodontium. Both acute (short-term) and chronic (long-term) ethanol exposure were considered by this study to lead to functional changes in saliva, including decreased flow rate and impaired output of total protein, amylase, and electrolytes. 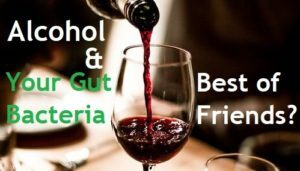 Whilst the study found some differences between the oral microbiota of non-drinkers and wine drinkers – specifically, wine-drinkers had a richer and different microbial profile from non-drinkers, with a decreased abundance of the phyla Bacteroidetes and Firmicutes, the family Peptostreptococcaceae) – the study concluded that: “Because our study had limited numbers of subjects who exclusively consumed beer, wine, or liquor, further study is required to disentangle the differential effect of each type of alcoholic beverage on oral microbial composition.” They did, however, point out that any variations that may occur between different types of alcoholic drink, probably derive simply from the relative percentage of ethanol contained. It would be interesting to compare the effects of drinking 100% pure ethanol with lower percentages. It would be no surprise to me to find that the changes to microbiota, wherever we are looking within the body, would be to a large degree proportional to the percentage of ethanol consumed. Naturally, there would be some bacterial and other physiological changes caused by added ingredients (such as other chemicals from grapes, barley, hops, rye, etc) within each drink; but the effects of the ethanol may well be relatively consistent, depending on percentage of content. A July 2018 study 55 confirmed what we have already discussed in a previous blogs 3 4 , namely the essential role that the body’s microbiome plays in our psychological well-being. This particular study considered the growing body of evidence showing that alcohol consumption increases brain levels of certain molecules that signal to our body’s immune system that something is wrong, resulting in neuroinflammation. Similar results had already been found in studies on other animal models 56 . Our central nervous system (CNS), which includes the brain and spinal cord, has certain immune responses when it senses danger. The researchers note that the microbiota play a pivotal role in this process and affect central neurochemistry and behaviour: “Disruption of or alterations in the intimate cross-talk between microbiome and brain may be a significant factor in many psychiatric disorders. 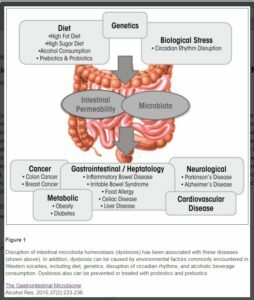 Alterations in the composition of the microbiome, so called dysbiosis, may result in detrimental distortion of microbe-host homeostasis modulating the hypothalamic-pituitary-adrenal axis.” Heavy alcohol consumption can play a significant causal role in dysbiosis and, in turn, dysbiosis and psychiatric disorders appear to be strongly linked. We probably all could have guessed that research would find alcohol can causes short- and long-term psychological changes; but maybe not so many of us knew that the trillions of bacteria within us are so intimately connected with this process. We’ve mainly looked at chronic alcohol consumption, but when we looked above at the 2003 study 23 , we saw that even a single heavy drinking session (a so-called ‘binge’) can cause significant damage, including inducing a leaky gut. However, most of us would assume that negative psychological and psychological effects would be significantly less when we drink only a little alcohol infrequently. The above is by no means meant to be a comprehensive list of possible associated conditions, nor is it meant to be a diagnosis; however, if you do drink alcohol and experience some of these effects, it might be worth taking a closer look at whether alcohol is playing a part. This has been a somewhat random and potted look at some of the studies relating to alcohol and the microbiota. For me, the take-home message is that consuming alcohol, in any form, is something we do because of its psychological effects (making us feel relaxed, giving us a buzz, allowing us to act with more confidence, or being able to forget our worries and feel temporarily less stressed). However, I suspect that none of us would choose to put ethanol into our bodies if it had no effect at all on how we felt. Whilst this might seem an obvious point, it does have some significance. What if our bodies and minds were sufficiently healthy and strong that we didn’t need the effects that alcohol to ‘sustain’ or ‘refresh’ us? What if our diet and lifestyle continually fortified us, so that we could weather the usual stresses of life? From my research and personal experience, eating the optimal diet, getting plenty of exercise, sleeping well, and finding mindful ways of sailing smoothly through the rough seas of daily life are four lifestyle options that link together and have the potential of providing that fortification. At the core of it, at least in my opinion, is a WFPB diet. 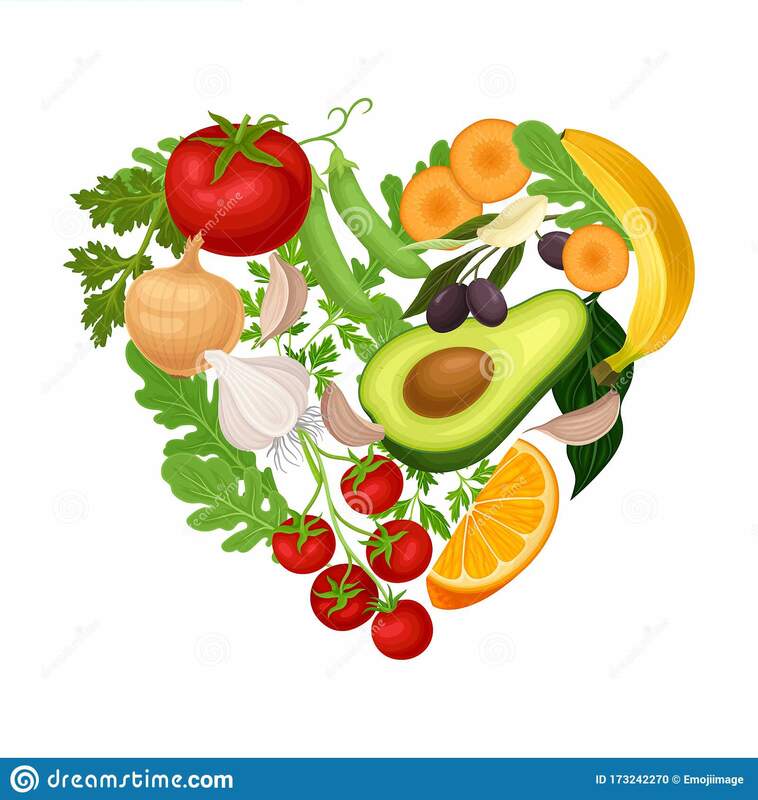 It provides all the nutrients we need, while at the same time avoiding all the toxins and empty calories that come part-and-parcel with animal and processed foods. A WFPB diet also brings with it, the psychological benefits of knowing you are taking the most effective step in helping to protect the environment and to reduce animal suffering. Finally, the very concept of a WFPB diet is that you eat whole plant foods. Alcohol, of course, is not a whole plant food. Thus, whether we choose to drink it or not, it’s worth remembering that a glass of wine, beer or our favourite spirit is, in effect, a processed food. This may not seem such a big issue, but a side-effect of the addictive nature of so many processed foods and drinks also applies to alcohol and, as such, they can easily replace optimally healthy foods and drinks. It’s no coincidence that the things you crave most after a good drinking session are things like kebabs, crisps, cakes, sweets and not lentils, salad, apples and broccoli! Next Next post: Should Meat Be Taxed?